Widowed and pregnant, Gianna Costanza comes to Kirkwood Lake with her world in pieces. She's determined to put her life back together after her cop husband's death, and romance definitely isn't part of the plan. But when she meets her new landlord and neighbor, she knows she doesn't stand a chance. Deputy Sheriff Seth Campbell is strong and kind, and more supportive than she ever imagined a man could be. Soon he's sweeping Gianna off her feet. 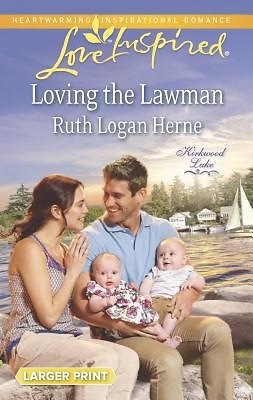 But she doesn't know if he's ready for an instant family--or if she's brave enough to love another lawman.